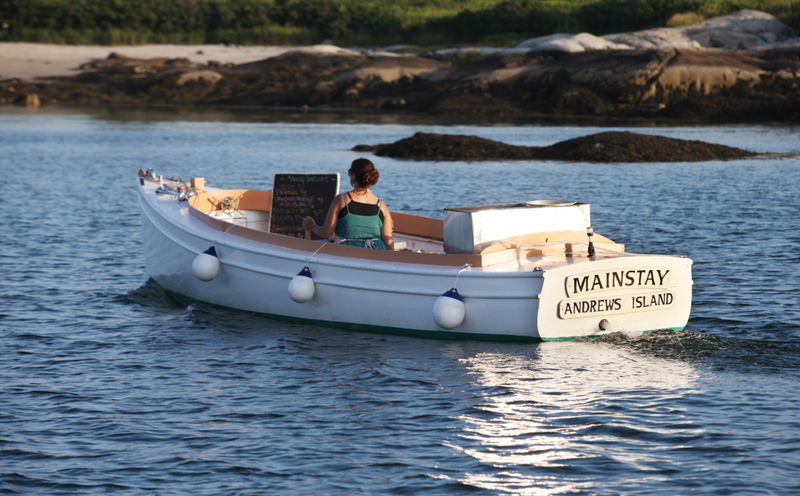 Reilly Harvey guides her boat Mainstay out into the harbor between Dix Island and High Island. 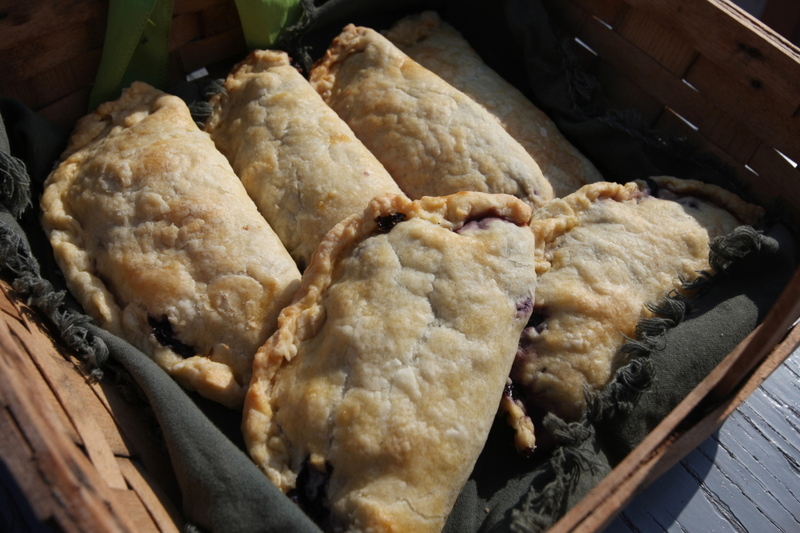 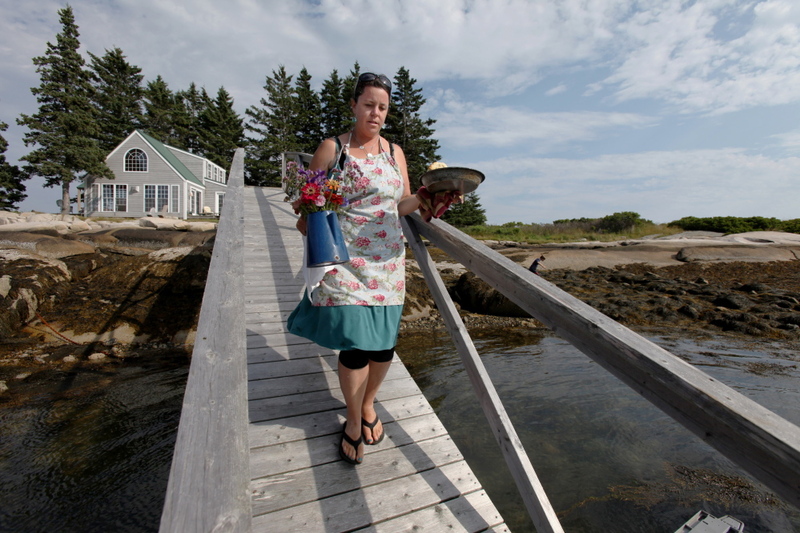 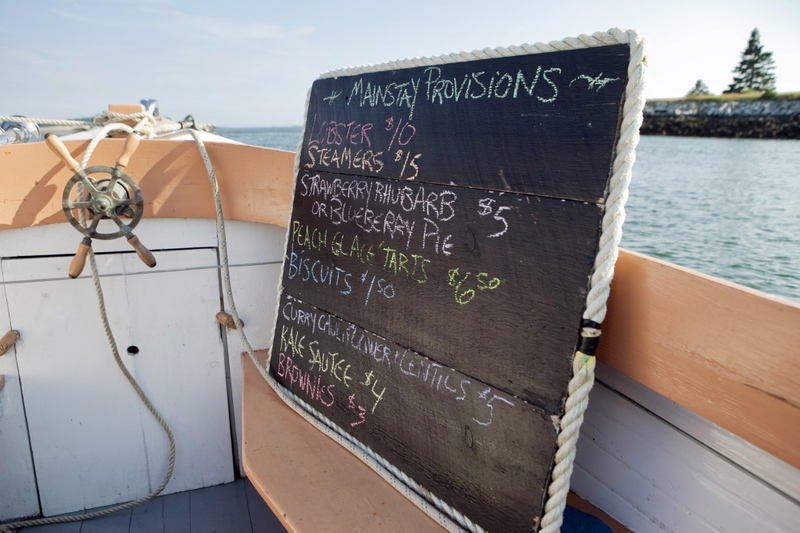 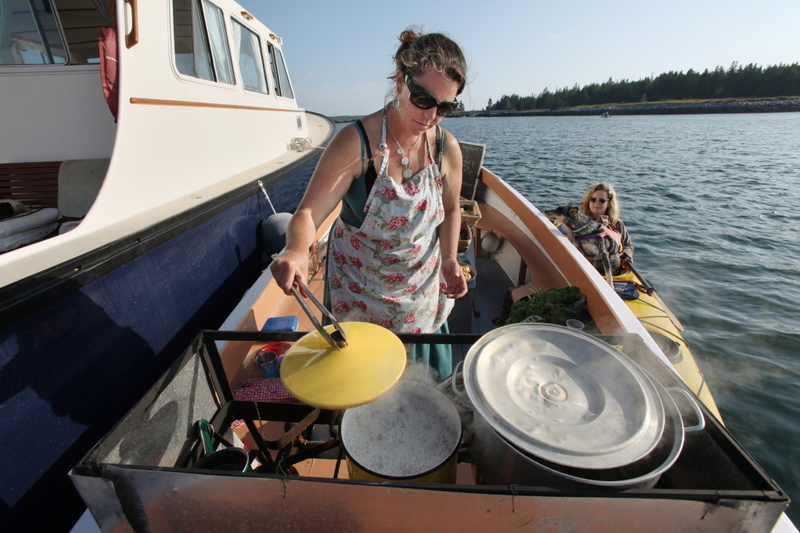 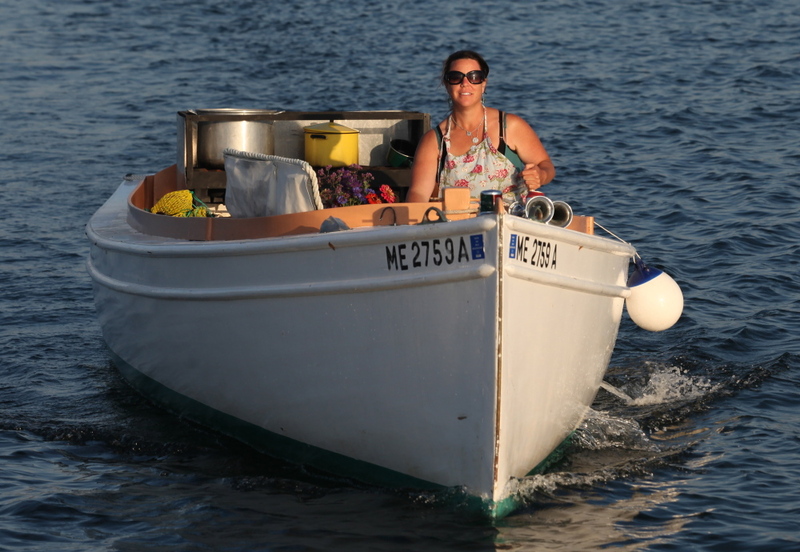 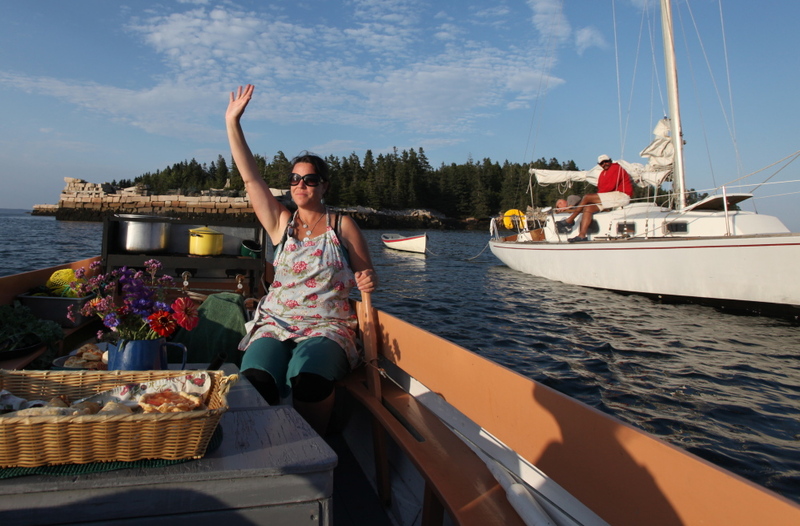 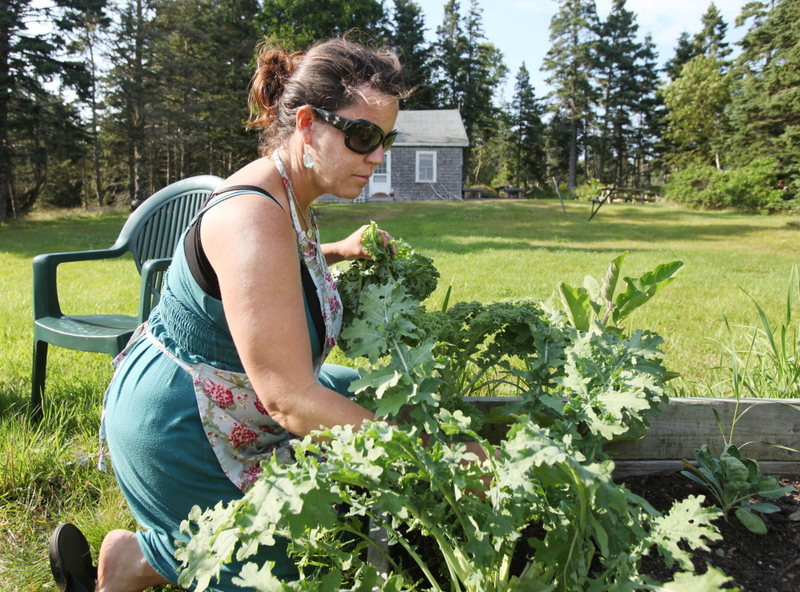 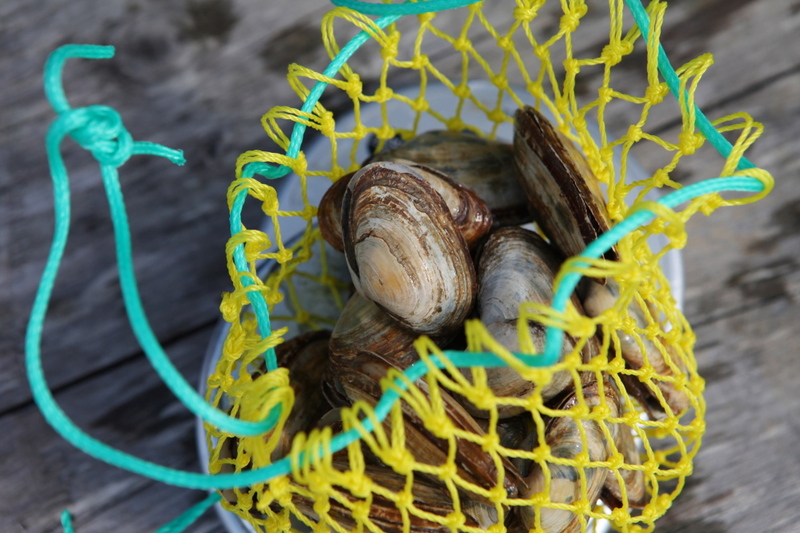 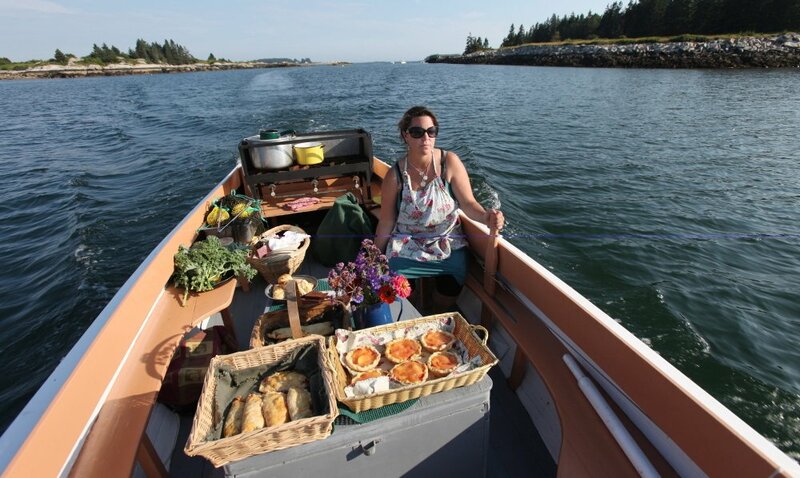 Harvey runs Mainstay Provisions, selling lobster dinners and baked goods to boaters from her 1960s North Haven launch. 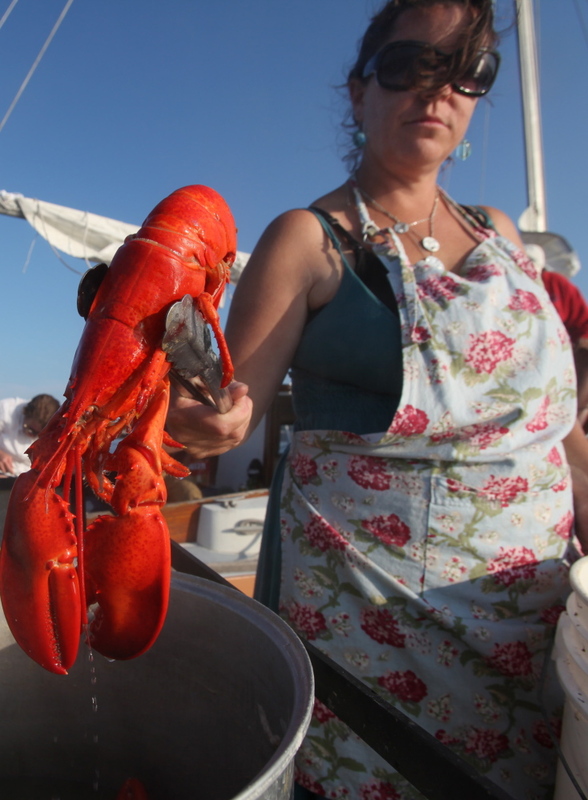 Harvey pulls a cooked lobster from a pot on board the Mainstay. 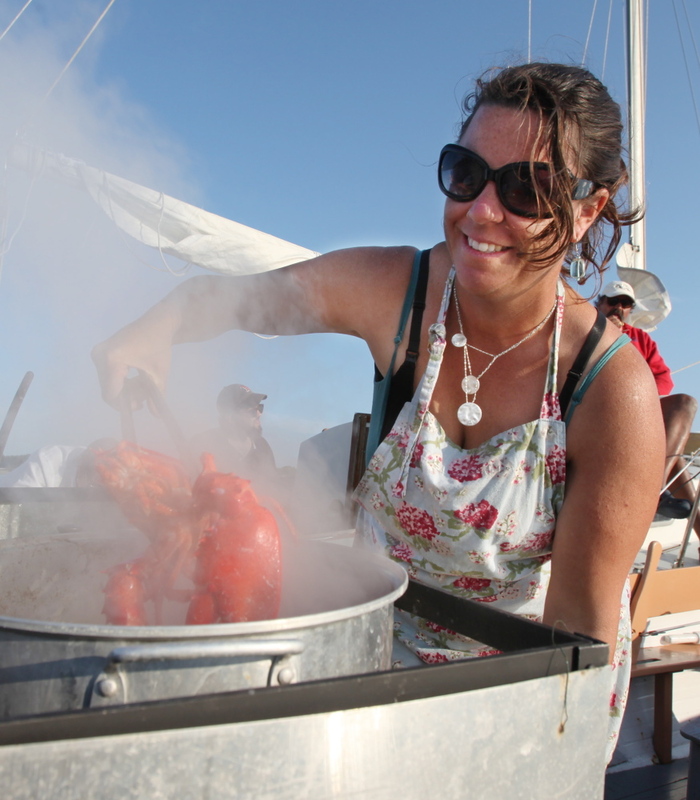 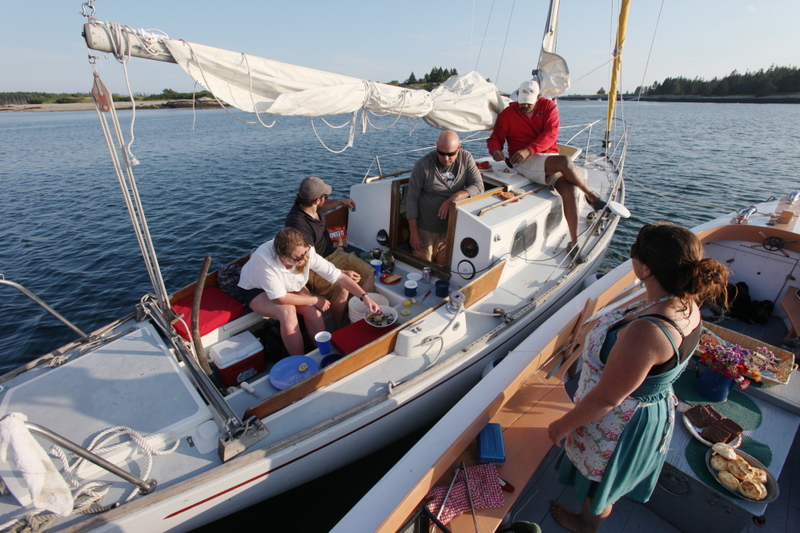 Reilly Harvey, right, speaks with, from left, Sarah Anderson, Josh Anderson, Joe Godfrey, and Dale Young, after cooking them lobster and steamers on her boat in the harbor between Dix Island and High Island.